EU - 2015 ended in Spain with 7 per cent more sacrifices than in 2014, exporting 45 per cent of the production (Germany and Spain have increased their exports, while other countries of EU have lowered theirs), with an average price of € 1.14 / kg live weight, but with the lowest price at year end of € 0.947 / kg live weight, writes Mercedes Vega General Director for Spain, Italy & Portugal. The price of raw materials has more or less stabilized, with an index at the end of the year of 225 € / ton (source 3tres3 pig economic thermometer). 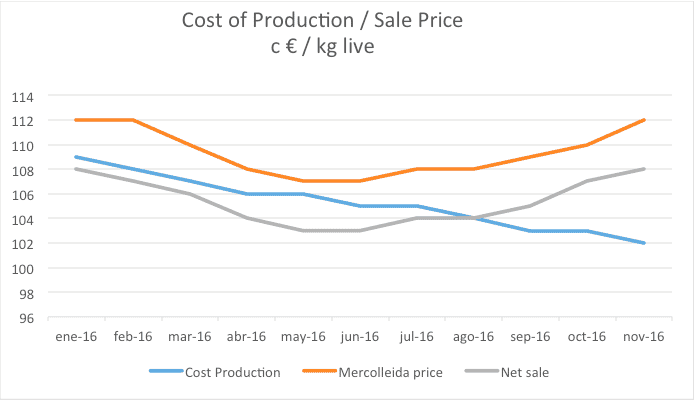 In this context, 2016 began with a price of 0.947 € / kg live weight, and pessimistic predictions for the year, with week 23 reaching prices below the two previous years. Thanks to the strong increase in exports (mainly China), which already account for more than 50 per cent of production, the situation was reversed ending the year with higher values than previous years, with a value of € 1,129 / Kg live weight (19.2 per cent higher than a year ago). 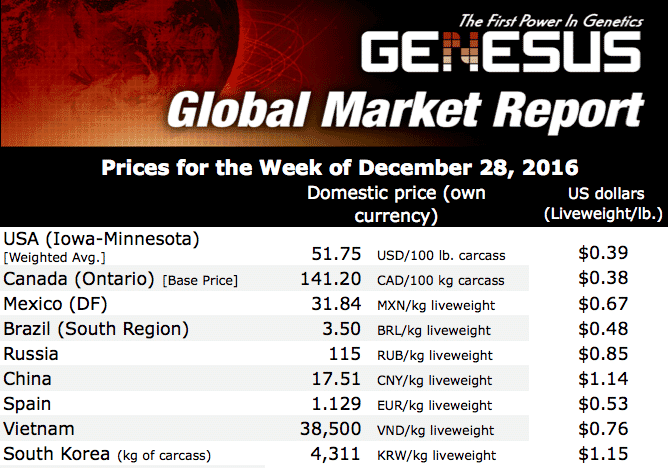 The year has ended with an annual price of 1.13 € / kg live weight compared to Germany of 1.15. During the last months, the Spanish price reference has been the lowest among its European competitors. This 2016 has ended up with less animal jams on farms during this Christmas. Spain continues to lead exports of the EU along with Germany. It is the largest producer of pigs but not the largest producer of pork, which is Germany. Currently Spain is producing more animals than a year ago. In this last stage of the year, Spain has sent live animals to Germany, as Germany has a lower production since its censuses fell a year ago, as has happened with other countries in the EU. This is has resulted in the value of the meat being maintained. Regarding exports, during the first nine months of 2016, China has consolidated its position as the leading foreign market for Spanish pork (18 per cent), surpassing natural markets such as France (16 per cent), Italy (10 per cent) and Portugal (7 per cent). From January to September, pork exports from Spain to the rest of the EU grew by + 5 per cent year-on-year, while third countries did so by + 70 per cent. 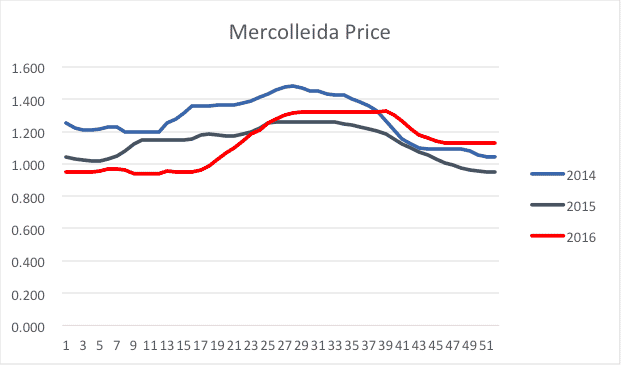 Another key change in the Spanish market compared to last year was the progressive increased demand for higher quality in pork, implying that previous strong demand of animals finished with Pietrain are giving way to a higher demand for animals finished with Duroc. This change can be the result of an increased national consumption for higher quality pork, or a change trend of the exports from a mere commodity to a flight to quality.